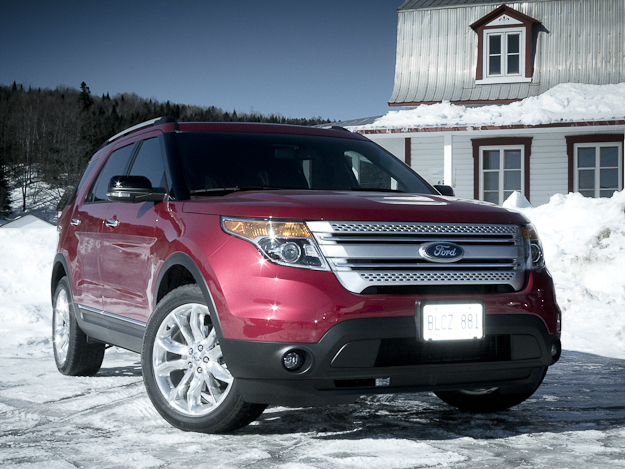 “Reinvented Explorer” is the mantra for the all-new 2011 Ford Explorer. 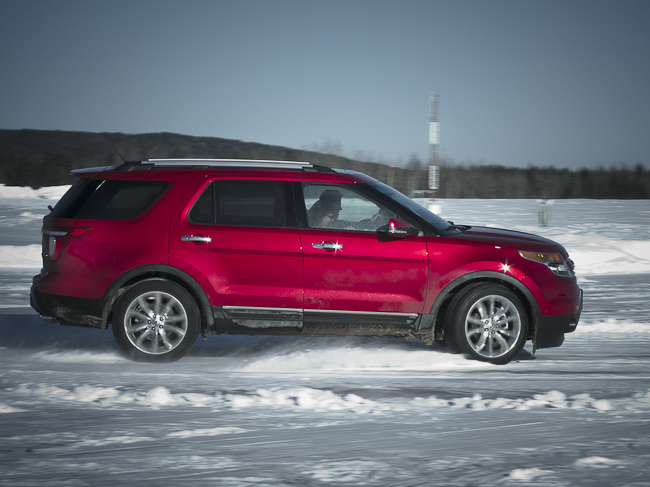 A bold new design, standard 3rd row seats, twenty-two percent better fuel economy, award-winning inflatable rear safety belts, a $4500 price reduction; these are just a few things separating the 2011 Explorer from the outgoing model. Above all, there’s much more to the new Explorer that will separate it from the competition within the busy SUV segment where Ford innovation continues to pave the path to the top. 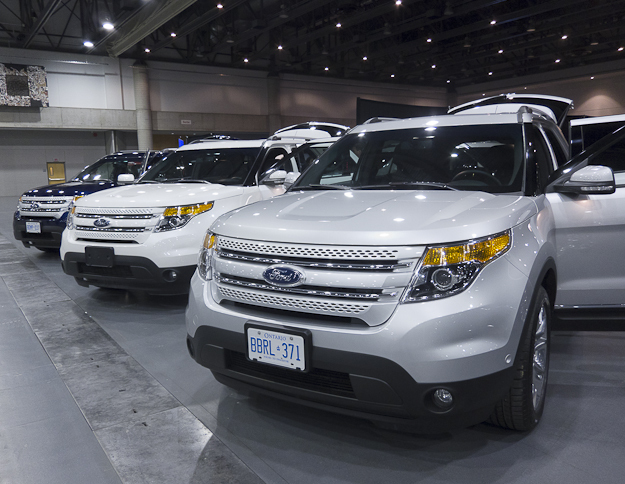 And starting at just $29,999 CAD MSRP for the entry-level model, and hovering around $50,000 CAD MSRP for the top-trim Limited version with all significant options priced in, the 2011 Ford Explorer looks to conquer the SUV summit in no time. Officially launched in late July 2010, it appears just now the 2011 Ford Explorer is gaining traction with recent awards and a marketing campaign blitz including TV commercials in high rotation, where the focus is less ‘people-mover’ and more towards a ‘lifestyle-machine.’ From sand and surf to snow and sledding, the Explorer strives to suit all lifestyles and activities for the masses. Hence, Ford Canada felt now was the opportune time to showcase the winter-lifestyle side of things, with a media event that found us in-and-around historic Quebec City, Quebec, putting the Explorer through the paces while taking in the gorgeous scenery through the foothills north of the St. Laurence River, finding ourselves as far north as La Malbaie, home to the stunning Fairmount Le Manoir Richelieu hotel, our pad for a night. 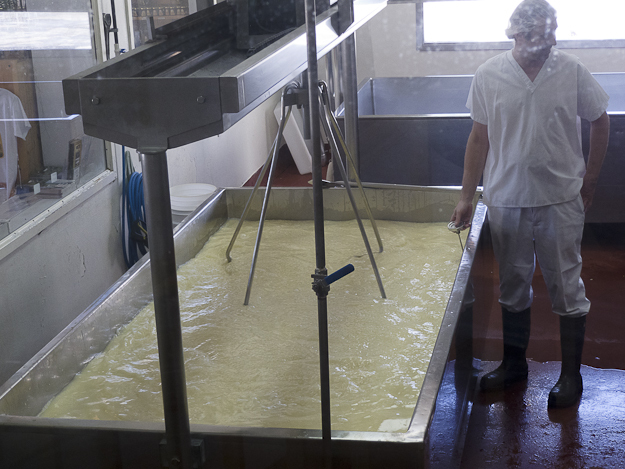 And, of course, there was French fromage at Laiterie Charlevoix cheese factory, dog sledding, snowmobiling, and old-school maple syrup. 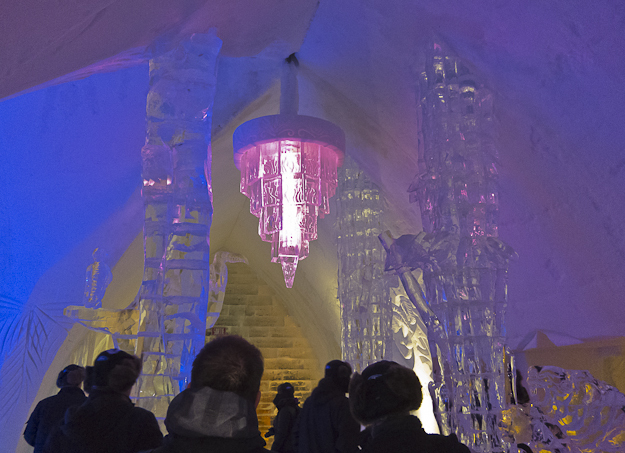 Not to mention, dinner and tour at the Hôtel de Glace, a very cool, very James Bond-esque hotel made of snow and ice, open for three short months only from January to March. 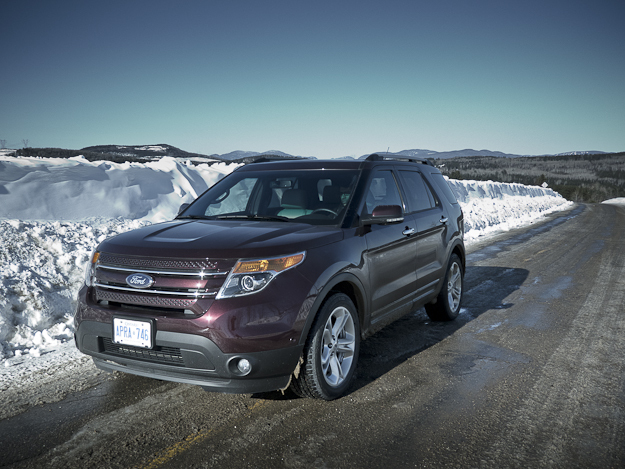 The 2011 Ford Explorer is truly just that: an explorer, assimilating to nearly all conditions. 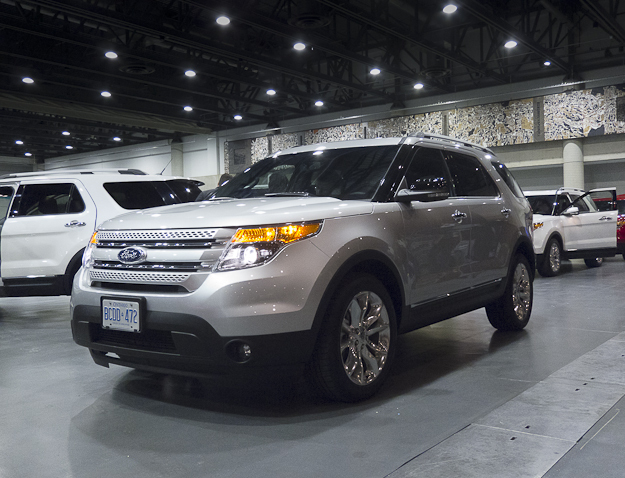 Production tested in unforgiving environments from scorching Dubai to freezing northern Manitoba, Ford ensured the Explorer would be a worldly vehicle, taking people where they need to go. 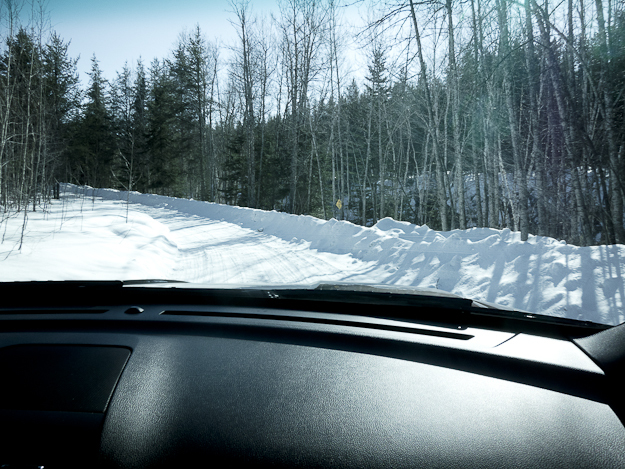 The result includes the Terrain Management System, providing driver with more control via four settings to better adjust to the conditions outside; these include Mud Rut, Sand, Normal, and Snow/Gravel/Grass—assess the situation, turn the dial to the correct setting, and you’re set. For our journey, the latter Snow setting was default and served us well, providing the added traction, especially along some spontaneous, icy patches on the highway. 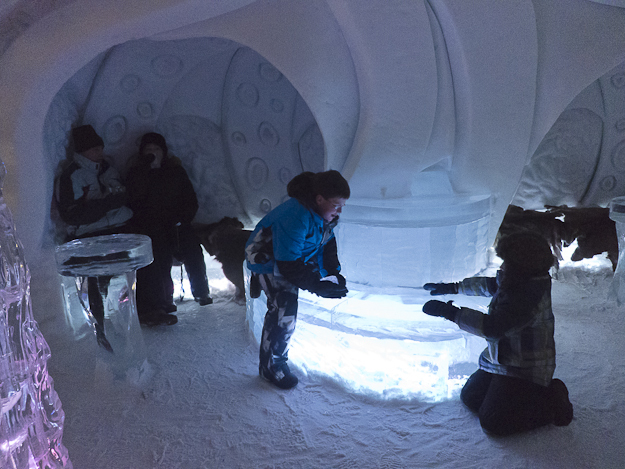 A private snow-slalom setup at the La Malbaie Airport provided another chance for us to really put the Explorer’s TMS to the test. 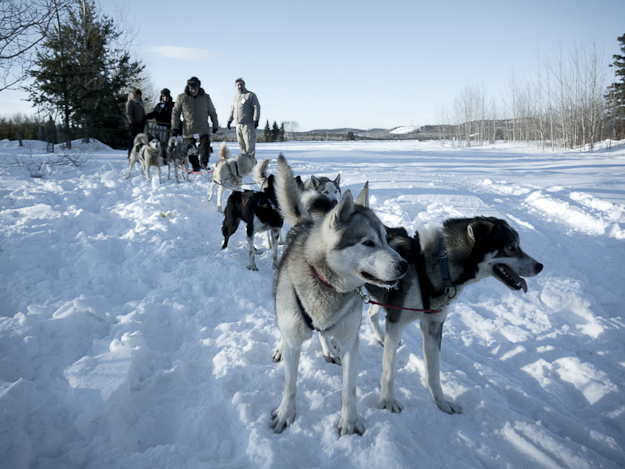 Ford also managed to get a local snowmobile association, apparently 47,000 members strong (yes, 47,000), to open up their paths to our 4WD monsters, where we made our climb through their narrow, full-snow covered path to the hilltop. Great chance to really test out these traction settings. 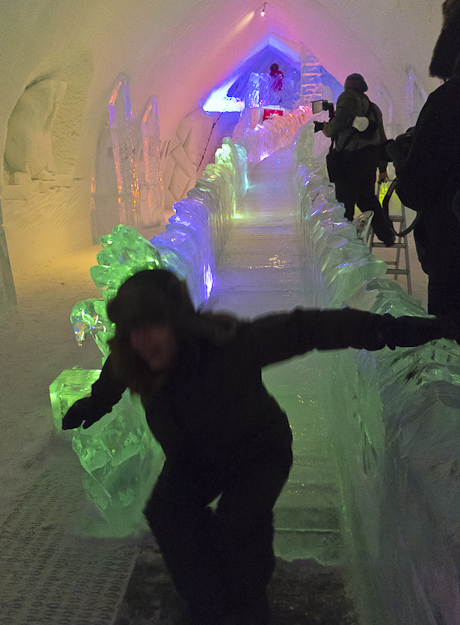 An even better opportunity to try out the new Hill Decent Control on the way down, which automatically maintains speed, power, and braking for a safer descent. The best part is? This stuff really works. Winter tires are compulsory in the province of Quebec, so our Explorers’ 20-inch rims were fitted with Continental Tire’s V-rated performance winter rubber…performance winter tires are the only way to go if you’re planning on these sorts of excursions; the difference is paramount. 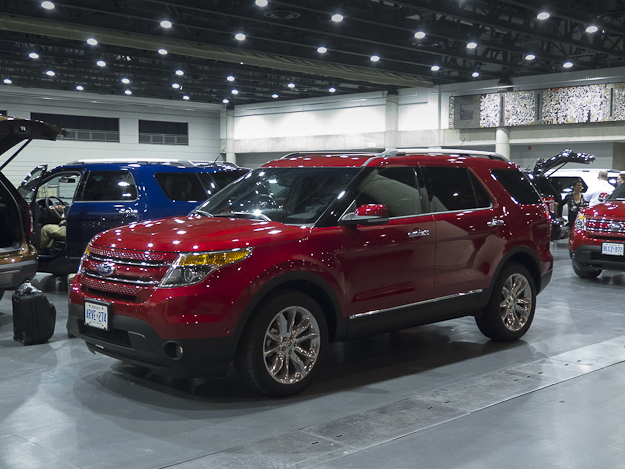 Powered by a new 3.5-litre Ti-VCT V6 engine, the 2011 Ford Explorer sees a twenty-two percent improvement in fuel economy while adding 80 new horses compared to last year’s model, now producing 290-hp—that’s only 2-hp less than the V8! Soon, the Explorer will also be available with a 2.0-L I-4 EcoBoost engine Ford claims will increase power with a thirty-percent increase in fuel economy. The new 2011 Explorer’s styling is stunning—long, clean shoulderlines that wrap around the body; an elegant yet sporty front grill that doesn’t see huge invasive fog lights, just a couple tiny ones that look sharp; large rear windows behind the c-pillar that won’t hinder visibility…overall, the perfect blend of bold, sporty, refinement. The cabin is equally stellar inside our Explorer Limited version, with 6-passenger seating with 2nd-row bucket seats and 2nd-row centre console (optional on the Limited); a 110-volt power outlet in the 2nd row standard; and decent cargo behind the 3rd row, expanding to 2285-L of cargo space with 3rd row folded down. 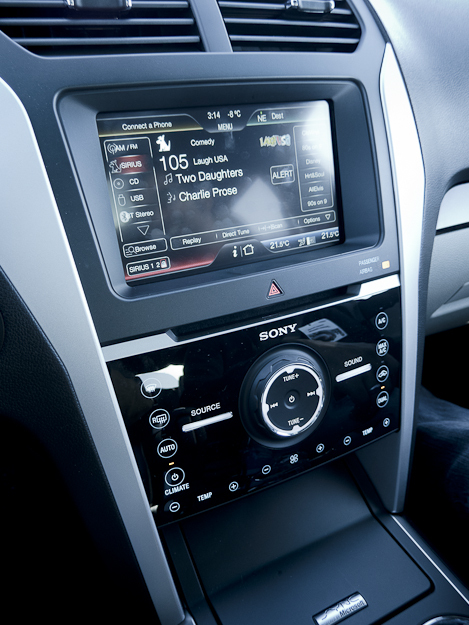 Of course, the Explorer finds the award-winning, voice-activated FordSYNC setup, now paired with MyFordTouch for even further features. Just a few short days with the new 2011 Ford Explorer, it’s clear the company has a clear winner. 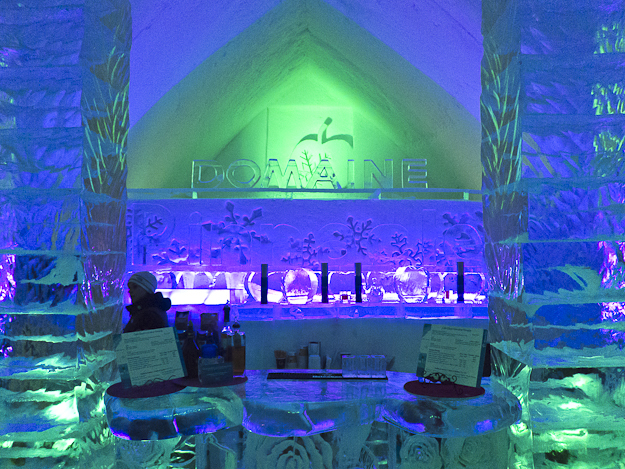 And exploring the Quebec City region couldn’t have been any better, both for its winter activities as well as its charm and beauty. 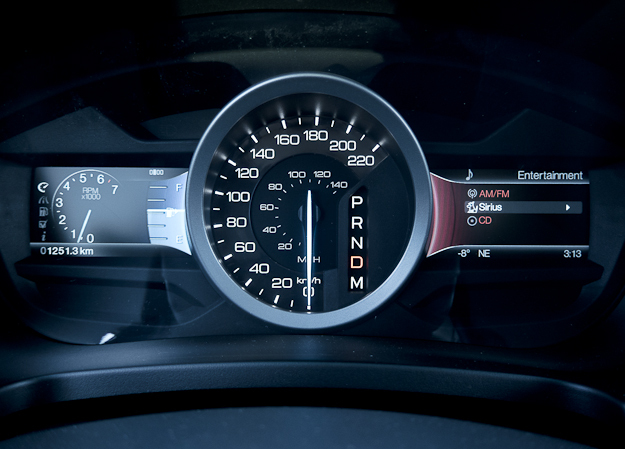 For more info on the 2011 Ford Explorer, please visit HERE.